One of the last opportunities in Denver to get a 4-bedroom 2 bath detached home with a 2-car garage and no HOA for under 300K! Security system installed, separate living room, family room, and dining area. Washer, dryer, 2 refrigerators, newer stove, and freezer all included. Furnace is only 1 year old, and the water heater is 3 years old. Brick and maintenance free siding exterior, nice yard with privacy fence plus a 12x18 workshop area behind the 2-car garage. Free 1-year buyers home warranty. 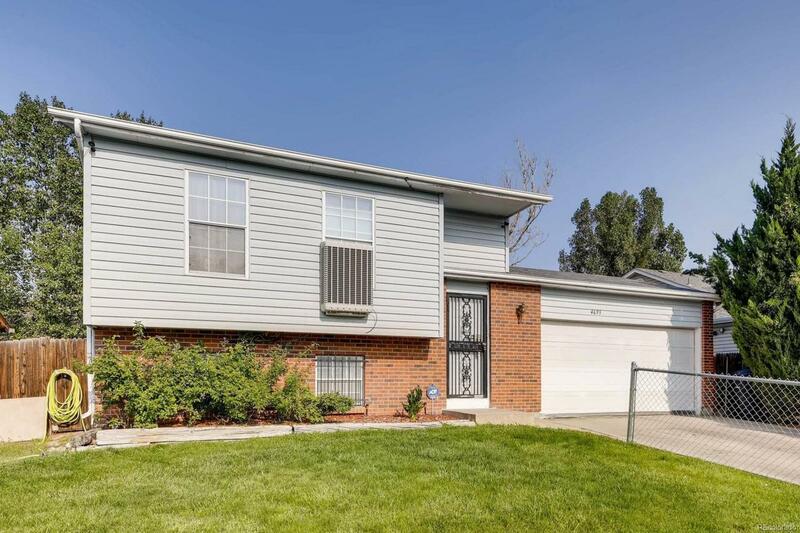 Great location close to parks, schools, Denver International Airport, and easy access to I70. Needs a little TLC.